Pope Francis has given his fourth Christmas Mass from St Peter’s Basilica in the Vatican. He said Christmas has been “taken hostage” by materialism. The Pope said this overshadows God, and makes people blind to the needy. 10,000 worshipers attended the event, which begins the celebration of Christianity’s most important festival. 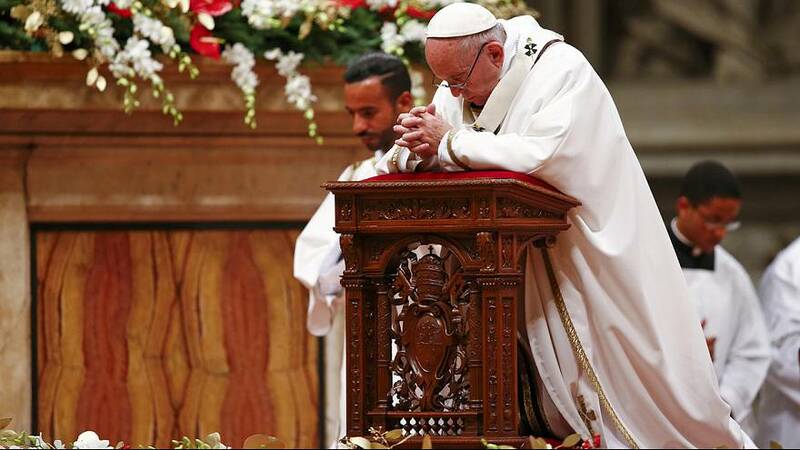 Pope Francis added that the wealthy world we live in needs to be reminded of the humble message of Christmas. He ended with unscripted remarks, that “worldliness has taken Christmas hostage. It needs to be freed”. Security was heightened before the annual mass, after Italian police shot dead the suspect in the Berlin lorry attack in Milan. St Peter’s square was cleared six hours before the mass, so it could be searched an security measures put in place. Cities across Europe remain on high alert, and churches have been given special protection for the global celebration of the birth of Jesus Christ.